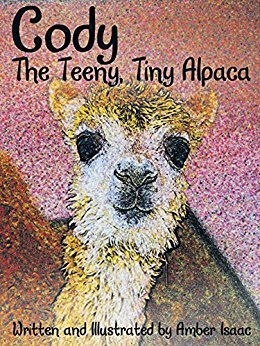 Amber Isaac is the author and illustrator of the children's book Cody: The Teeny, Tiny Alpaca, which tells the story of an alpaca she is raising. 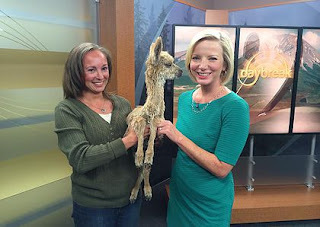 She is the owner of the Silken Suri Alpaca Ranch in Colorado. Q: Why did you decide to write this book about Cody? A: I actually decided to write the children’s book at the suggestion of some of Cody’s online fans. They had been following Cody’s medical ups and downs from when she was a baby and suggested that she might be a great inspiration for children. Once they put the idea in my head, the story came to me very easily. Q: How did Cody become such a famous alpaca? A: When Cody was born, I didn’t even announce her birth online since her chances were so slim. After a couple weeks, I started posting photos of her online. People started cheering her progress. They’ve become very loyal and supportive during the ups and downs of her medical journey. 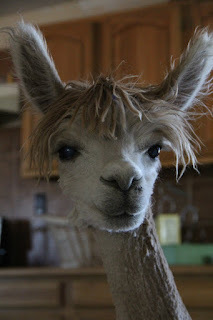 Q: How did you first get involved in raising alpacas? A: After working 13 years backstage on Broadway, I moved to Colorado 10 years ago to be closer to my family. I wanted to work with animals and accidentally discovered alpacas. I instantly fell in love!! I purchased six alpacas that first year and now have over 100 on my ranch. Q: What do you hope readers take away from Cody's story? A: Cody’s life has been unique and unusual. She really has never fit in with the other alpacas on the ranch. I realized early on that many children face the same situation at school and in their everyday lives. I really want Cody to be a catalyst to reach children who might feel left out or different. Cody’s book can help children learn that being unique is something to be celebrated. A: I am currently working hard to promote Cody’s message every chance I get. My hope is to reach people across the country and all over the world. Her Facebook page has over 93,000 followers and her new Instagram account has already flown past 14,800! Her recent compilation video with The Dodo received over 13 million views. We’d love to draw the attention of organizations who work with children who might benefit from Cody’s message: anti-bullying, special needs, foster care, etc. A: Be sure to follow Cody on Facebook, Instagram (@CodyAlpaca) and Twitter (@AlpacaCody). Don’t forget to shop at www.codyalpaca.com.